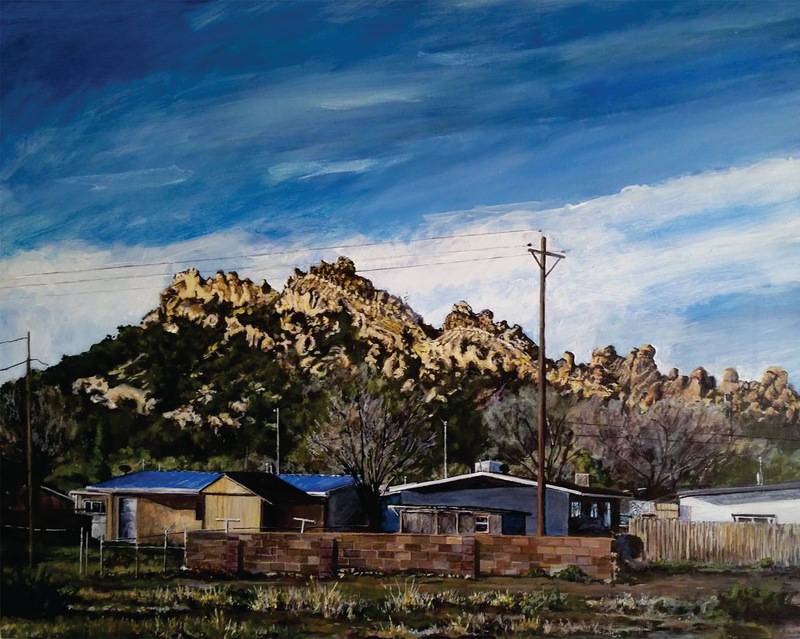 Local artist Tine Hayes is making his return to Gallup’s gallery scene this month with a solo show at ART123 Gallery from May 12 – June 5. To celebrate his most recent work, we sat down with Tine and asked him a few questions. His answers are inspired and inspiring! Q: How long have you been practicing art? How did you get your start? I grew up in a home surrounded by art and artists. My father is a professional artist, and our family ran a gallery for 20 years. Gallery season was a part of my life, from folding flyers and mailings to hanging paintings and adjusting lights. I was encouraged to make art from a young age, and in my home art was valued as an important part of existence. I started making art before I can remember. I studied Art throughout my schooling, and I have always felt a need to learn to paint, draw, and be creative. I guess I can’t really remember a time when I did not practice Art. Despite or perhaps because of my childhood, I still feel like I am just beginning to understand the process. Q: What have you been exploring in your art recently? I always love and hate my work. There is an unconscious and unintended way that my work comes out that I am both satisfied and annoyed with. The limitations of my style and ability are boundaries I try to push with various degrees of success. My work is intended to create an experience. Recently, I am exploring the integration of human impact on the natural world. I think that we are a part of our world and we change our experience of it through our existence. 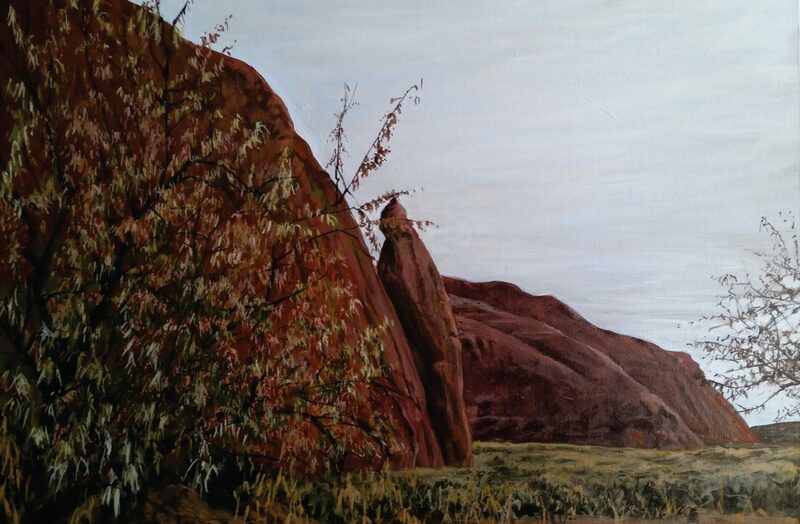 I am also fascinated by the truth and abstractness of the landscape around us, and I try to make my painting explore both the expression and experience of seeing. Allegory, my new show, is intended to be about each piece individually. When we see the landscape, we have a primal reaction to the image, but this show is about the secondary experience of the viewer. Where the viewer goes with the experience of the image is in itself a metaphor for our impact on the world around us. That all sounds very obtuse. Basically, I just want to make paintings that people like to look at. Q: What keeps you motivated as an artist? What inspires you? I love painting. I love looking at paintings, making paintings, and teaching painting. I am compelled to paint because it is hard, and when it is done well it can be deeply impactful. I am inspired by simplicity, by truth, by beauty, and by the conveyance of experience. Even when I feel I am getting worse I still want to get better. Q: What is your studio like? My studio is my living room. My kids know to watch their step around the pallets scattered around the floor. I try to keep it tidy, but it is mostly a mess. I work from photos that I have taken, so I have many images I would like to paint hanging around and piled up. I make a mess on the floor with paint drips. It is not glamorous. My wife is very understanding, thankfully. Q: Do you have any advice for emerging artists? I think the key to expression is skill, and skill comes from practice. Making time in life to practice art is hard to do. If you’re compelled, fight for it. Believe in its importance, and strive to be authentic.